Terminology and Basics. Volume Acquisition. Volume Manipulation. Volume Display. Spatiotemporal Image Correlation. 3D Tools: Magicut, VCI, Omniview, VOCAL, Sono AVC, VCAD. Clinical Applicability in the First Trimester. Clinical Applicability in the Fetal Face. Clinical Applicability in the Fetal Central Nervous System. Clinical Applicability in the Fetal Skeleton. Clinical Applicability in the Fetal Cardiovascular System. Clinical Applicability in the Fetal Chest. Clinical Applicability in the Fetal Gastrointestinal Tract. Clinical Applicability in the Fetal Genitourinary System. 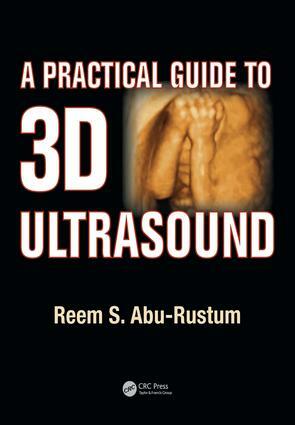 3D Applications in Obstetrics. 3D Applications in Gynecology. Coding and Entertainment Ultrasound. References. Index.